Increased energy efficiency and weight reduction feature as major trends in the rail vehicle construction sector. But how do we improve rail vehicle energy efficiency? Get your FREE analysis for weight saving potentials! Manufacturers of railway vehicles continuously try to reduce the energy consumption per passenger-kilometre driven. In addition to increasing capacity utilisation and using drives that are more efficient, weight is one of the most important levers in this respect. Connectors can make a measurable contribution. 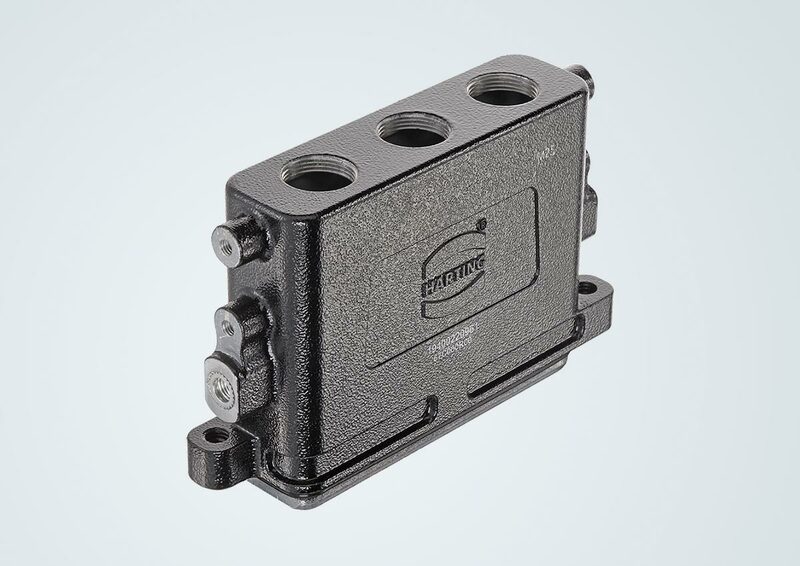 By switching from metal to plastic in the interior of the vehicle, we have been able to reduce connector housing weight for trams and trains up to 50% between one generation and the next – this is the significant difference in weight between the Han® B aluminium die-cast and the Han-Eco® B plastic housing (for the same size). The potential savings obviously seem low compared to the overall weight of a train, but manufacturers are scrutinising the design of their rail vehicles ever more closely – always looking for further opportunities to improve. Because the number of connectors used in trains rises, their proportion of the overall weight is also increasing. 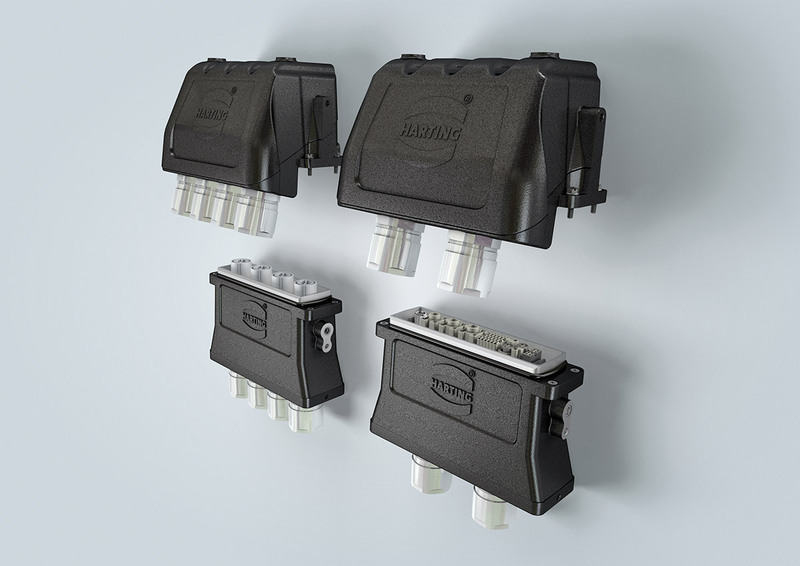 HARTING has also continued developing its High Pressure Railway (HPR) housing range in recent years, making it possible to incorporate more connectors within a single housing. One of the biggest HPR housings, the Han® 34 HPR, will now take up to four 650 A high-current contacts or twelve individual Han-Modular® modules. In the past, it took two housings, each fitted with six individual Han-Modular® modules, to deliver comparable data supply. 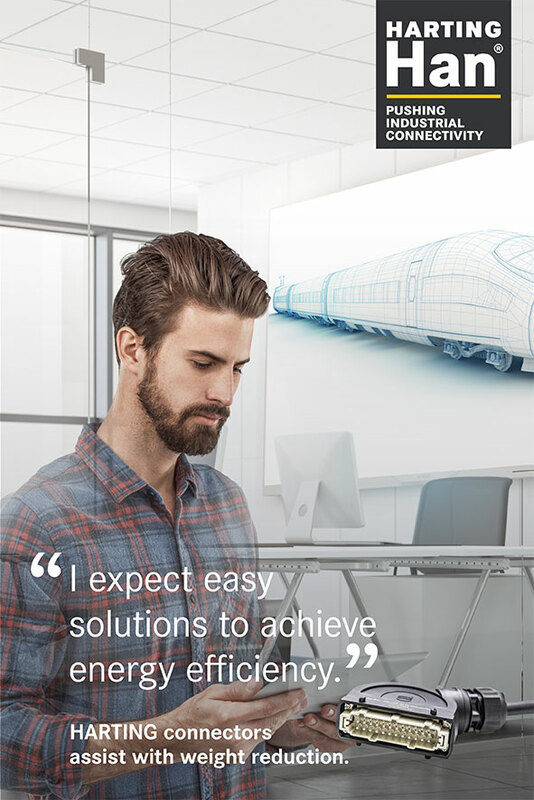 Another HARTING solution that can help with weight reduction in the rail sector is the Han® 22 HPR Slim motor connector – its flat, compact shape making it particularly suited for use in underfloor areas. Miniaturisation has made room for four contacts in the connector – without compromising performance. Get in touch with us and talk to an expert from our product management! You will get a FREE analysis on how HARTING products can help save weight and improve energy efficiency.